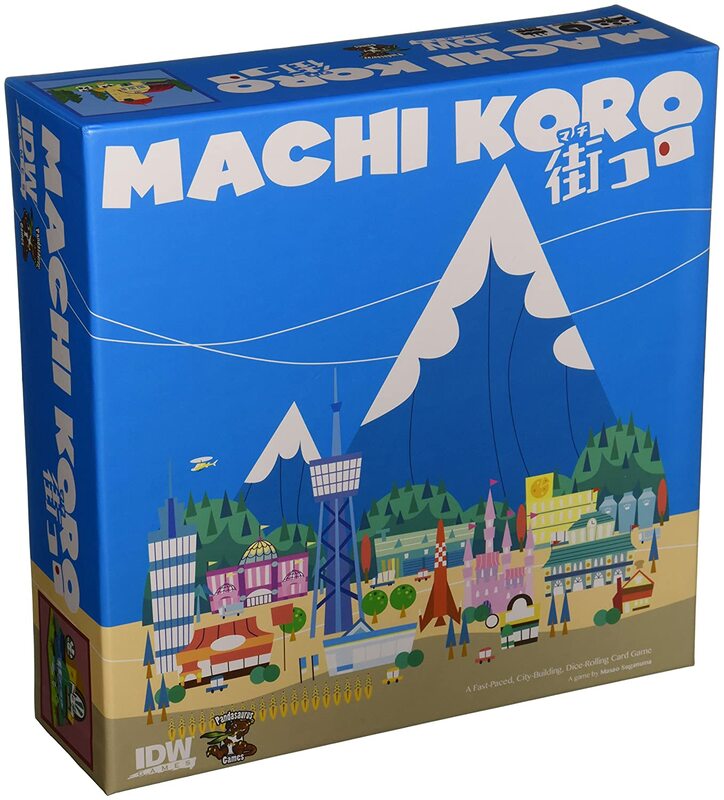 Machi Koro - 36% Off! "Welcome to the city of Machi Koro. You've just been elected Mayor. Congrats! Unfortunately the citizens have some pretty big demands: jobs, a theme park, a couple of cheese factories and maybe even a radio tower. A tough proposition since the city currently consists of a wheat field, a bakery and a single die. Machi Koro is a fast-paced game for 2-4 players. Each player wants to develop the city on his own terms in order to complete all of the landmarks under construction faster than his rivals. On his turn, each player rolls one or two dice. If the sum of the dice rolled matches the number of a building that a player owns, he gets the effect of that building; in some cases opponents will also benefit from your die (just as you can benefit from theirs). Then, with money in hand a player can build a landmark or a new building, ideally adding to the wealth of his city on future turns. The first player to construct all of his landmarks wins!" Red Dragon Inn - 52% Off! 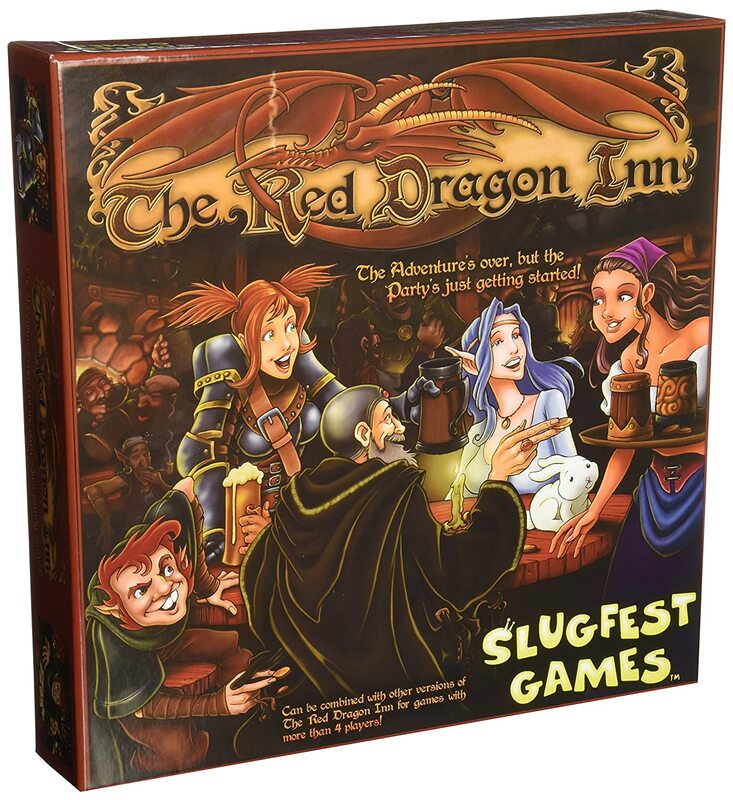 "In Red Dragon Inn, you and your friends are a party of heroic, fantasy adventurers. You've raided the dungeon, killed the monsters, and taken their treasure. Now you're back, and what better way to celebrate your most recent victory than to spend an evening at the Red Dragon Inn. You and your adventuring companions will spend the night drinking, gambling, and roughhousing. The last person who is both sober enough to remain conscious and shrewd enough to hold onto his Gold Coins wins the game." 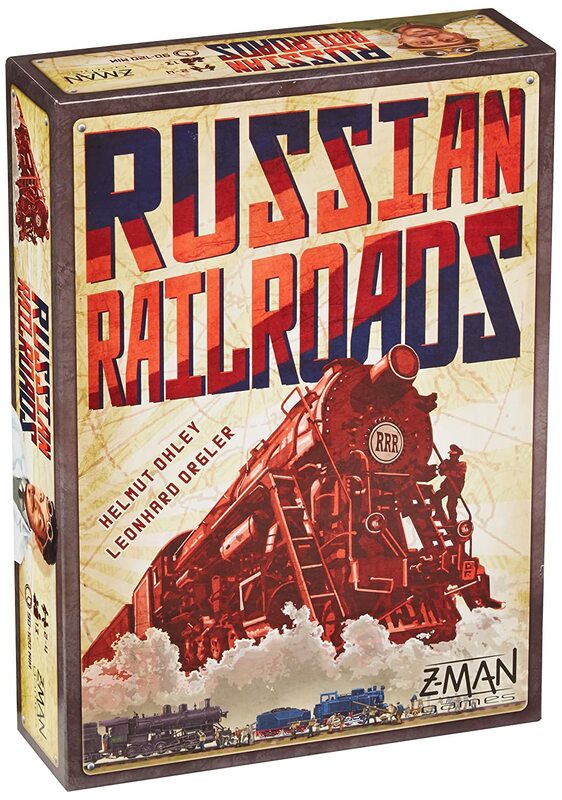 Russian Railroads - 31% Off! "In Russian Railroads, players compete in an exciting race to build the largest and most advanced railway network. In order to do so, the players appoint their workers to various important tasks. There are many paths to victory: Who will ride into the future full steam ahead and who will be run off the rails? Whose empire will overcome the challenges ahead and emerge victorious?" Descent Second Edition: The Trollfens Expansion - 37% Off! "The Trollfens is an expansion for Descent: Journeys in the Dark (Second Edition) that introduces new heroes, monsters, classes, quests, and more. Heroes can discover and investigate secret rooms and rumors while the overlord spreads infection and brings a powerful new lieutenant into play: the massive troll Bol'Goreth! The new overlord class "Infector" features a wide selection of powers centered around spreading pestilence and disease." New York 1901 - 32% Off! "Relive the dawn of modern New York City, the historic years that made it what it is today. Build bigger and higher skyscrapers on some of Lower Manhattan's most iconic streets. Raise one of four legendary skyscrapers — the Park Row, the Singer, the Metropolitan Life, or the majestic Woolworth — and make one of them the crown jewel of your real estate empire! In New York 1901, the players are building skyscrapers on a map of New York's Financial District. Players take location cards from a cards' display and then use 2-3 of those location cards to place tetris-shaped building tiles on the board. They first build bronze level buildings. Later in the game those buildings can be replaced by silver level and then gold level buildings." Gameplay: In Jamaica the game is played in rounds. Each player always has a hand of three cards, and a personal board depicting the five "holds" of their ship, into which goods can be loaded during the game. Each round, one player is designated as "captain," with the next clockwise player being captain in the following round, and so on. The captain rolls two standard D6 dice, examines her cards, then announces which die will correspond to the "day" and which to the "night." Each player then simultaneously selects a card from their hand and places it face down in front of them. Each card has two symbols on it, one on the left - corresponding to "day" - and one on the right ("night"). The symbols indicate either ship movement (forward or backward) or the loading of a type of good. After every player has selected a card, all cards are revealed simultaneously and then resolved clockwise one by one, starting with the captain's. When it is a player's turn to resolve her card, for first the left symbol on her card and then for the right symbol, the player will load a number of goods or move a number of spaces equal to the number of pips showing on the corresponding day or night die for that round. Thus the main decision each player makes during the game is which of their current three cards would best serve them on a particular turn, given the values of the day and night dice. Finally, during the race, when a player lands on a spot already occupied by another player, there is a battle. Battles are mainly resolved by rolling a "combat" die, but players may improve their chances by using "gunpowder" tokens from their holds, if they loaded any on previous turns. The winner of a battle may steal some goods or treasure from the loser." 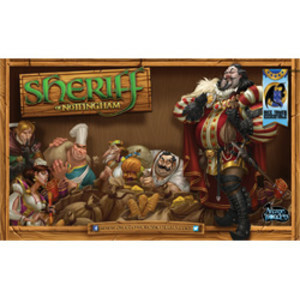 Sheriff of Nottingham Play Mat - 53% Off! Space Junk - 60% Off! "It's the year 2047, and the world's atmosphere is filled with all manner of junk; those in charge have decided to do something about it. Their solution is to begin production of "Space Junk", a brand new reality TV show that follows a group of carefully chosen random contestants as they cobble together spaceships out of whatever junk they can find, cleaning up space in the process. Altruism is all well and good, but in order to make a good TV program, one needs more than that — which is why the producers, in all their wisdom, encourage the contestants to engage in space races with each other. 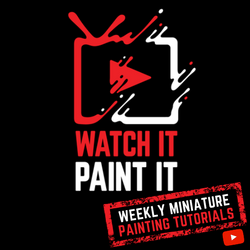 Additionally, the contestants are allowed to use anything as weapons against one another, with a fat cash prize encouraging such motivation for the contestants. In Space Junk, you've landed a spot on this reality television show, and now it's time to clean up outer space while entertaining the masses! Orbit the earth seeking out and picking up space junk, both to build a ship with and to recycle! The game is simple, easy to learn and will reduce you to tears (of laughter) as you build the most ridiculous ship imaginable. You will use your ship to speed around the earth, crash into and attack other players, and collect valuable junk to become the most famous contestant! Space Junk plays 2-6 players and plays different every time with the huge variety of cards."